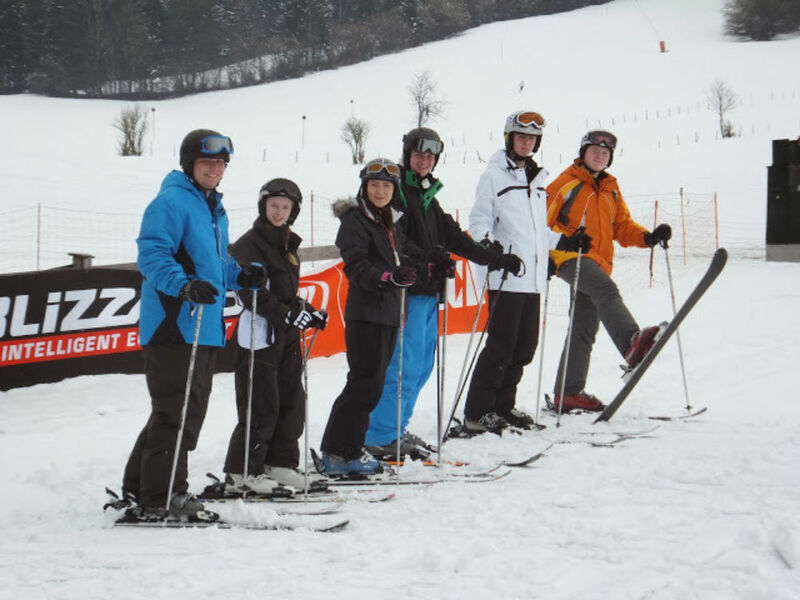 A group of 48 cadets and adult volunteers from Derbyshire Army Cadet Force (ACF) had the opportunity to travel to Austria last week to experience an exciting adventure training programme. The event, known as Exercise Dragon Venturer Ski Cadet 2014, is an annual winter event in which a number of young people and adult instructors carry out a range of team building activities, such as building a snow shelter and skiing in varying conditions, as well as learning more about practical snow survival and receiving an introduction to using equipment to help locate people buried under avalanches. Colonel Chris Young, Commandant of Derbyshire ACF, led the expedition and said: “On arrival in Austria we dropped off our bags and left for St Jakob to visit to the ski hire centre to be fully kitted out with boots, skis, poles and helmets and concluded with an early night before the skiing programme started. “The first day was spent at St Jakob carrying out alpine skiing with 6 groups varying from absolute beginner to advanced. The next three days were based at Steinplatte near Waidring, before moving to Fieberbrunn to conclude the trip. “All of the cadets completed various levels of the snow-life sports award scheme which is great news. The senior cadets in the group achieved level 8 out of 9 possible levels. This year we received financial support from the Ulysses Trust, The Worshipful Company of Feltmakers of London and the Army’s Support Command, without which the expedition may not have happened.